As the first quarter of 2017 comes to a close, Smoothie King continues to show the benefits of a smart text message marketing platform. Across the country, more and more subscribers are signing up to Smoothie King’s text message marketing program. This quarter alone, Smoothie King has had 32,796 new subscribers sign-up for textALERTs. textALERTs are text messages sent to subscribers to promote a campaign, special offer or drive traffic to their locations. With franchise partners sending textALERTs to these subscribers, Smoothie King guests have redeemed 7,802 offers equaling $78,020 in redemption revenue in the first quarter. 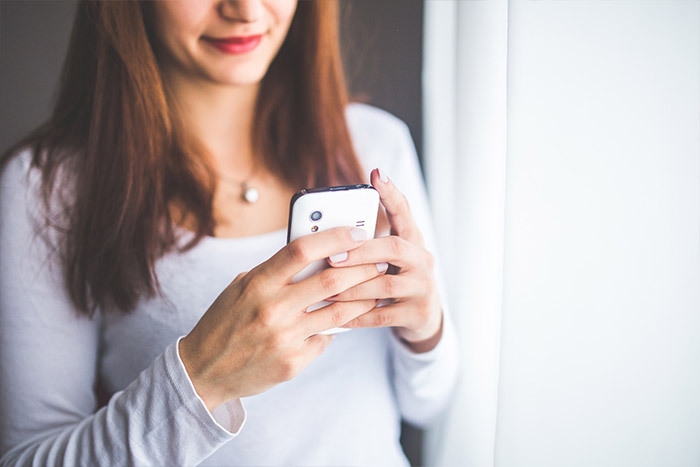 With a continually increasing amount of franchise partners utilizing the text message marketing program, mobile success stories are emerging more often. Sanden Andrews, for example, has multiple locations around the Atlanta area and currently has over 2,300 textALERT subscribers. Sanden sent out periodic SMS textALERTs in 2016. She went from a 3.7% redemption rate on an offer in late 2016 to a 5.3% redemption rate early this quarter just by adding an image to send an MMS textALERT for The Activator promotion. Adding the image to the text message doubled the actual number of redeemable offers. Like many other franchise partners, she recently sent an MMS textALERT for the Slim-N-Trim Smoothies as well with the stores receiving regular redemptions. Now, many Smoothie King Franchise Partners are getting creative with their text message marketing program. Recently, Central Florida franchise partner Lorraine Pater worked directly with TL Connects to schedule four months worth of MMS textALERTs for her three stores. Lorraine carefully planned out weekly textALERTs and included specialized messages for each individual textALERT. The textALERTs ranged from deals for National Student Athlete Day to National Apple Pie Day all with distinct images and corresponding deals that helped accent the offer. Standard holidays were scheduled like Memorial Day and the 4th of July while creativity continued to shine with textALERTs also scheduled on Eat Your Veggies Day and National Blueberry Muffin Day. This is all a perfect example of not only thinking outside of the box but, how to think out and schedule these textALERTs for months ahead of time. Text marketing, also known as SMS marketing, is one of the most powerful tools a business can use to bring more guests to their stores! Add an image to the message, also known as MMS marketing, will add even more impact to your campaign. For a quick guide to text message marketing, check out Text Marketing Best Practices. For more examples of Smoothie King text message marketing campaigns, visit “Is sending picture messages to customers effective?” and see how other Smoothie King Franchise Partners are embracing the power of MMS marketing. TL Connects has been helping Smoothie King locations with their local store marketing using our integrated kiosk solution and all-in-one communication and text marketing platform for over two and a half years. In June of 2016, Smoothie King corporate awarded us a contract as the preferred partner SMS vendor. In less than 60 days, we signed up over 100 locations and currently have well over 200. Many locations are now sending picture messages to improve their customer engagement. If you have an interest in learning more about how our platform can help your store, please CLICK HERE to reserve a time with one of our reps to see a brief demo or visit the Smoothie King Text Program page for more information. You can also call me or CLICK HERE to reserve 15 minutes on our schedule for a quick phone call with one of our reps.